We will all have the experience of taking care of a patient in the emergency department who is acting…different than they normally do. Sometimes, the change can be subtle, maybe a family member will be the first to notice and bring the patient to be evaluated. Sometimes the patient makes the change abundantly clear. There is time-sensitive information that must be gathered quickly. Get history from EMS before they leave. It’s important to know any underlying medical conditions, any known history of current presentation, as well as last time the patient was confirmed to be “normal” in the event that ischemic stroke is on your differential. If they don’t have this information, call around and find someone who does. Collect and interpret vitals early as these may guide your thought process, and, in this case, consider a fingerstick blood sugar as one of your vitals. The differential diagnosis is enormous. Be wary of anchoring on a diagnosis early, and always be willing to brainstorm with your colleagues. In the context of AMS, a topic that warrants more discussion is that of delirium. Classically understood as a transient disorder affecting attention and cognition due to underlying pathology, delirium is often considered synonymous with AMS as well as a rite of passage in any ICU rotation. My first time recognizing delirium was as a young resident who went to go cry in the bathroom after a previously nice little old lady in the neuroscience intensive care unit started shouting the meanest things you could imagine to me at dinnertime. I've never herded nerds in my life! So why do we need to talk about something that so blatantly slaps us across the face? Turns out it’s not always that easy. Review of several studies by Han et al. out of Vanderbilt University provides some clarity regarding the challenges and importance of this pathology in the ED. One study1 evaluated the relationship between the chief complaint of AMS as recorded by triage and delirium in patients presenting to the emergency department who were over the age of 65. The chief complaint of AMS or variants (such as “not acting right”, “confused”, etc) was compared to the presence of a diagnosis of delirium during the emergency department stay as performed by a psychiatrist utilizing DSM IV criteria. The good news is that the presence of such a chief complaint is 98.9% specific with a positive likelihood ratio of 33.82 based on their study, a good argument that an elderly patient with a chief complaint of AMS is very likely to be delirious. However, the presence of this chief complaint was only 38.0% sensitive for delirium, indicating that there are plenty more delirious 65+ year-olds making their way into the ED without a warning from triage that they may be so. The poor sensitivity for detecting delirium doesn’t end at triage. Another cross sectional study2 investigating the recognition and risk factors of delirium in elderly ED patients cites a 57% to 83% miss rate by emergency physicians when it comes to diagnosis of delirium in this vulnerable patient population (with 76% being missed in their study). Furthermore, of the patients with unrecognized delirium that were admitted to the hospital, only 1 out of 16 (6.3%) had their delirium recognized by the admitting service on their initial history and physical exam. To make matters worse, patient outcome for these elderly patients in the ED with delirium appears to have a significant mortality difference. In a prospective cohort study3 patients aged 65 or older were evaluated for delirium in the emergency department, this time utilizing the Confusion Assessment Method for the Intensive Care Unit (CAM-ICU) as opposed to psychiatry evaluation with DSM IV criteria diagnosis with the goal for evaluation of 6 month mortality. Diagnostic method was changed so as to be more applicable for ED practitioners, stating the CAM-ICU method to be more efficient for the fast-paced ED environment by requiring less than 2 minutes to complete as opposed to a more lengthly interview as performed by psychiatry. They found that patients diagnosed with delirium by CAM-ICU in the ED had a 6 month mortality of 37% as compared to 14.3% of those without delirium overall, with the proportion remaining similar amongst patients discharged from the ED (30.8% 6 month mortality in delirium positive discharged patients vs 11.8% for those without delirium.) This group followed up with another study4 to validate the CAM-ICU as compared to DSM IV criteria diagnosis via psychiatry. The CAM-ICU was found to have a suboptimal sensitivity for delirium in the range of 70%, but did have a good specificity of 98.6%. Delirium is common amongst elderly patients in the ED. A systematic review5 on the topic found most studies to find the occurrence to be about 10% in this population. We are bad at picking up on delirium. It is important to recognize that delirious patients are much more frequently of a hypoactive subtype2 and appear to be more depressed or catatonic than the more easily noticeable hyperactive subtype. It is important to get better at recognizing delirium given the significant implications to mortality. Early recognition may assist with further diagnostics if underlying pathology is not yet discovered, medical decision making to limit polypharmacy and exacerbating medications, as well as begin early management of delirium. Though the CAM-ICU has poor sensitivity overall, it has a better sensitivity than current emergency physician evaluation. Though not validated for universal screening, consider its application in the elderly patients that you evaluate in the emergency department who present with chief complaints other than AMS, especially if you get that feeling. Han, Jin H., John F. Schnelle, and E. Ely. "The Relationship Between a Chief Complaint of “Altered Mental Status” and Delirium in Older Emergency Department Patients." Academic Emergency Medicine 21.8 (2014): 937-940. Han, Jin H., et al. "Delirium in older emergency department patients: recognition, risk factors, and psychomotor subtypes." 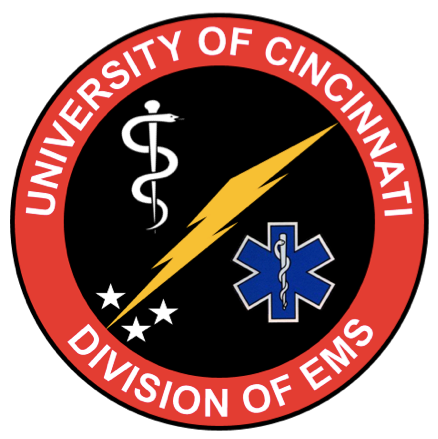 Academic Emergency Medicine 16.3 (2009): 193-200. Han, Jin H., et al. "Delirium in the emergency department: an independent predictor of death within 6 months." Annals of emergency medicine 56.3 (2010): 244-252. Han, Jin H., et al. "Validation of the confusion assessment method for the intensive care unit in older emergency department patients." Academic Emergency Medicine 21.2 (2014): 180-187. LaMantia, Michael A., et al. "Screening for delirium in the emergency department: a systematic review." Annals of emergency medicine 63.5 (2014): 551-560.